I don’t think the rainbow colors properly indicate volume increase/decrease, though. Might want to modify it a bit. 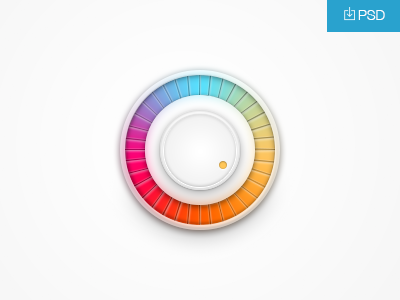 Rainbow Volume Knob is a free UI design resource made by Dribbble user Zan. As far as I can tell, its license is Unknown.